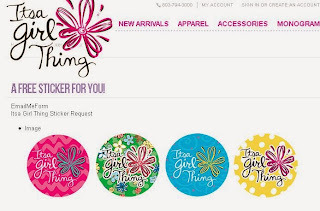 Get a free It's a girl thing sticker. Click the link below to go to their website. Once on their site enter your information to sign up for their newsletter & pick your sticker color.